लॉस्ट Boys: The Thirst (2010) Poster. 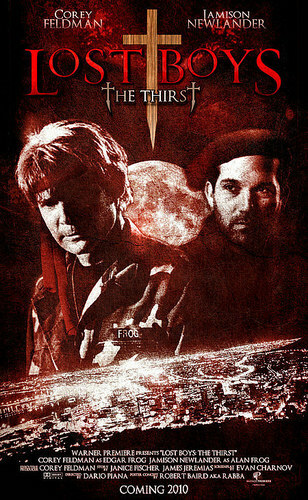 Poster for लॉस्ट Boy: The Thirst featuring Corey Feldman & Jamison Newlander as The Frog Brothers. Wallpaper and background images in the The लॉस्ट Boys Movie club tagged: lost boys: the thirst lost boys 3 poster 2010 corey feldman jamison newlander frog brothers.